1. Attendance: Tom Hall, President; Ken Weigand, Vice-President, Dave Miller, Treasurer, Dan Ross, Secretary, and Tracy Rhoads, IT Manager. Board Members: Alby Redick, Don Osborne, Mike Walsh, Lin Manning, and Lew Gage. 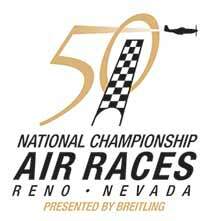 Guests: Mike Dikun, Reno-Stead Airport Manager, Bill Eck, RTAA Representative. Board Member(s) absent: Terry Matter. Members: Doug Ritter, Reno Aviation Museum, Robert Rabkin, Jack Suierveld, Milt Champion, Doug Kulich, Dave Wilburn, and Marty Berlin. 2. Minutes: Approval of the Minutes of the January 8, 2013 meeting were delayed until the March 12, 2013 meeting. 6. Airport Manager’s Report: Attention is now focused on snow removal and snow removal equipment maintenance. Mike estimates that Stead is no more than 8-10 hours from full operation after a normal snowfall of 6-10 inches. Again, just as a reminder, current snow removal priorities are as follows: Fire lanes, runway 8/26, taxiway Alpha, taxiways between hangars, runway 14/32, taxiway Bravo, in that order. Key cards are now available at the Airport Manager’s Office. Please report any difficulties with gate operations to Mike. 7. Stead Liaison Report: Bill Eck: Generously yielded his time to the RTAA Strategic Planning Process briefing. 8. Special Guests: Adam Mayberry, Vice Chairman RTAA, Dean Schultz, COO RTAA, Tina Iftiger, VP RTAA Economic Development, Stacie Huggins, RTAA Economic Development, and Kim Perkins and Erica Olsen, M3 Planning who gave the RTAA Strategic Planning Process briefing. For more info, go to the Home Page, Featured Articles, then click on RTAA would like your input. 9. RARA Report: Time yielded to Strategic Planning Process brief. 10. IT Report: DELAYED UNTIL MARCH MEETING. 11. 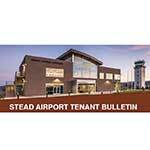 General Discussion: The BOD voted to change the name of our association to the Reno Stead Airport Association (RSAA). Tom reiterated that all Airport Authority Board Trustees and their Staff are always welcome and encouraged to attend the monthly RSAA meetings as are all association members and tenants-at-large. 12. 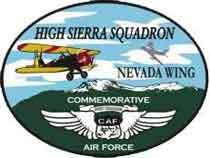 Next Meeting: March 12, 2013, 5:15p at the Reno-Stead Airport Managers Office. 13. Adjournment: The meeting was adjourned at 6:35p.